LD type series of heading machine is a special equipment for construction of prestressed project, and it can heading steel wire with the nominal diameter of Φ4、Φ5～Φ12.6. The diameter of upper heading is more than 1.5 times than the one of the steel wire. 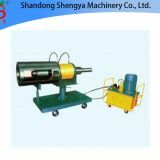 The use of hydraulic heading, hydraulic return in LD200C,LD300,LD400A,LD600 raises the return speed of the heading. AS all sliding seals use the Gled Ring and step seal as seals, the sealed effect is better, and the bearing capacity is higher, what's more, the resistance to wear gets better, the maintenance cost is very low and the service life is longer. 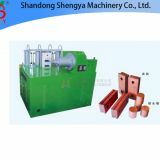 The two-body design of heading mold facilitates the change of parts and improve the durability. LD100A is a improved product on the basis of LD100. 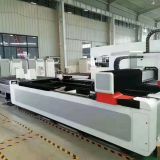 After improving, it can heading the steel wire with the specification of Φ4,Φ5 and increase the clamping force as well as improve the ability of clamping piece to clamp steel wire so that avoid the failure of threaded connection. 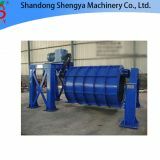 LD200C is a special heading machine for heading Φ7 prestressed steel wire. LD300 is a special heading machine for heading Φ9 prestressed reinforcing steel(SBPL1275/1420). LD400A is a special heading machine for heading Φ10.7 prestressed steel bar(SBPL1275/1420). 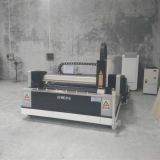 LD600 is a special heading machine for heading Φ12.6 prestressed steel bar(SBPL1275/1420). 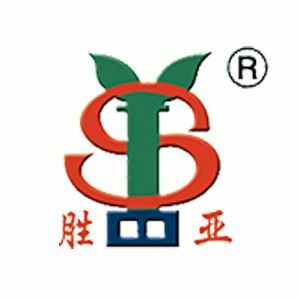 To Shandong Shengya Machinery Co., Ltd.
INQUIRY ABOUT Button Head MachineShandong Shengya Machinery Co., Ltd.